Post Malone had himself quite a noteworthy 2018. His music reached insane popularity levels, he performed at Coachella, and ate bread sticks with Jimmy Fallon at an Olive Garden in New York City. So what better way to cap off what may be the best year of his life than with an absolutely insane Hennessey VelociRaptor truck as a Christmas present? Among John Hennessey’s many crazy automotive mashups, the VelociRaptor 6x6 is perhaps one of the best. 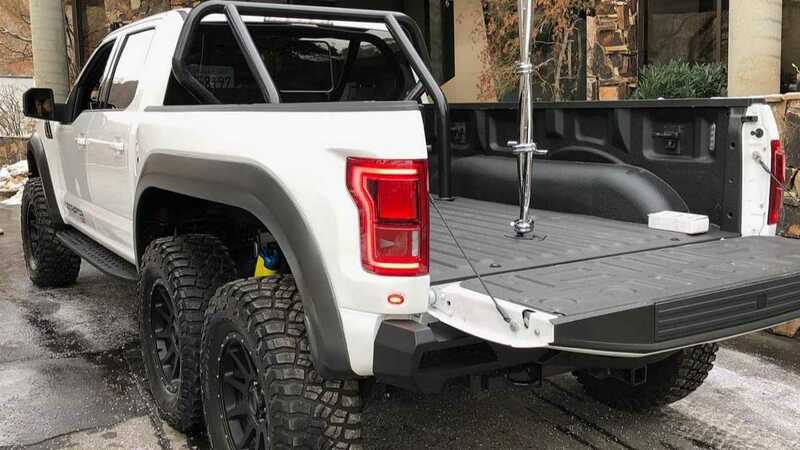 Start with a Ford Raptor – an already capable truck – add an extra axle, upgraded Fox shocks, custom front and rear bumpers, and LED light bar, among other cosmetic touches. We should also mention the numerous powertrain modifications such as upgraded twin turbos, stainless steel exhaust, and cold-air intake, which bring the truck’s power figure to over 600 bhp. Hennessey is known for adding massive power upgrades to American vehicles, including the Jeep Grand Cherokee Trackhawk, Dodge Demon, and many more. So when the famed tuner posted a picture with Post back in October, we collectively wondered what the two were concocting. 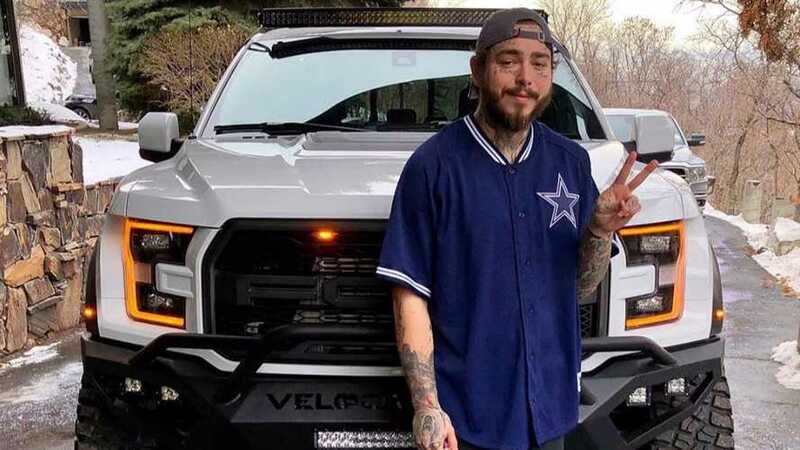 Our questions were soon answered by Hennessey’s Facebook page, showing the rapper standing in front of his new attack truck on Christmas morning in Salt Lake City. He opted for white over black wheels with contrasting yellow shocks. Snow drifting? Yes, please. We can’t wait to see where Post brings the 6x6 next, including maybe a future music video. The VelociRaptor will definitely handle the dust better than a Rolls-Royce.